Ice fishing season is in full swing for anglers in many northern states. 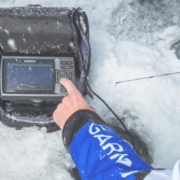 With many options available to meet a variety of budgets, Garmin offers easy-to-use ice fishing electronics that both beginners and professionals can use and enjoy. 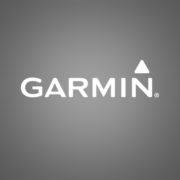 In fall 2017, Garmin introduced the most revolutionary technology to hit the ice fishing market since the powered auger, with the Panoptix Ice Fishing Bundle. 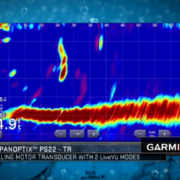 Panoptix live sonar technology has changed the game throughout many segments of the fishing industry, and ice fishing is no exception. After months of testing last season, word got out that Garmin Panoptix for hard water fishing was the real deal. Perfectly tailored to ice fishing, the Panoptix Ice Fishing Bundle includes a high-capacity 12Ah battery, Panoptix PS22-TR transducer with ice fishing mount, echoMAP CHIRP 73cv with built-in LakeVü HD mapping, and a GT10HN-IF ice fishing transducer. The days of drilling dozens of holes in hopes that one of them has fish are over. Panoptix LiveVü Forward allows you to precisely locate fish. Simply drill a test hole and deploy your Panoptix transducer. 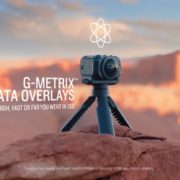 At this point, you’re able to scan 360 degrees around the hole up to 100′ away. For this case, let’s say there’s a large school of fish 50′ away from your test hole. Simply walk over to where Panoptix says the fish are, drill a hole, drop in and let the catching begin. Panoptix LiveVü Down continues the video game fishing trend. It’s perfect for finesse jigging on top of fish and hopefully coaxing one to bite. 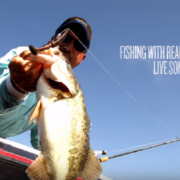 Be warned, it can be quite frustrating when you watch a fish come up to your lure and swim away, but when you watch them bite in real-time, you’ll be hooked! If you’re used to using a traditional flasher, don’t worry. 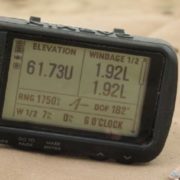 The transition to Garmin is easy since these units have built-in digital flashers. You’re even able to create a split-screen combo that includes flasher, map and Panoptix views. Designed specifically for ice anglers, the STRIKER Plus 5 Ice Fishing Bundle has everything you need to easily transition from a traditional flasher to a high-tech portable fishfinder. 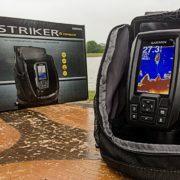 The STRIKER Plus 5 with portable carrying case is perfect for ice fishing or fishing from a dock during the summer months. If you’re used to using a flasher, you’ll love the STRIKER Plus 5’s easy-to-read built-in flasher. Map, mark waypoints and scout out potential ice fishing spots from your boat or kayak before the ice hardens using Quickdraw Contours, or download maps from Quickdraw Community on Garmin Connect. It comes with a portable carrying case, rechargeable battery, smart charger, and GT8HW-IF high-wide CHIRP ice fishing transducer. If you want to use it in your kayak or boat during the summer, you can add ClearVü scanning sonar by purchasing the optional CV20-TM CHIRP transducer. The STRIKER Plus 5 Ice Bundle is available for purchase in a ready-to-fish package for only $399.99. If you already own a Garmin chartplotter or want to customize a bundle to meet your needs, take up to a 9-inch ECHOMAP Plus anywhere on the ice with our rugged, portable ice fishing kit. The included GT10HN-IF ice fishing transducer features Garmin CHIRP traditional sonar with narrow, 8-16 degree beam angle for crisp, clear images and excellent target separation. It also includes a high-capacity 12Ah battery that will keep you fishing longer. The included carrying bag protects and carries your device and accessories while the built-in cable management and storage means you can easily take it anywhere on the ice. Easily convert it to a Panoptix Ice Fishing Bundle by adding a PS22-TR transducer and Panoptix Ice Fishing Mount.